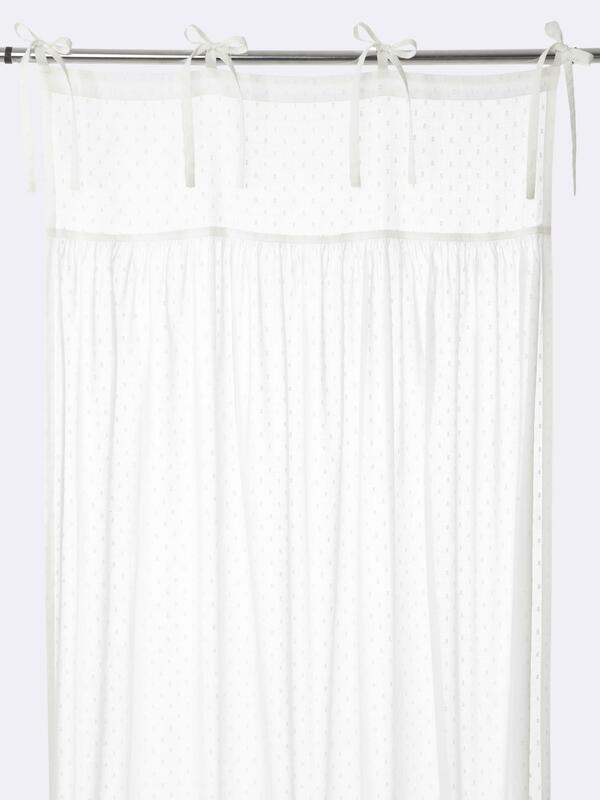 The full volume of this lovely pleated curtain dresses up your bedroom windows in style. We love the full, flared shape and easy-to-tie header. Tie mounts. 20cm flat facing plus gathers for a full volume. Width at top 65cm. Width at hem 130cm. Length 260cm. Machine washable at 40°C. Sold individually. New: To see our tips on how to choose your curtains, click HERE. 100% cotton Swiss dot fabric.